Standing solemnly in the middle of Whitehall, visitors could be forgiven for passing the Cenotaph by unnoticed. But every November it becomes the focus of Britain's Remembrance Service (the closest Sunday to 11th November). The service commemorates the British Empire and Commonwealth servicemen who died in the two World Wars. The monarch, representatives of the Church, State, the armed and auxiliary forces, all gather to pay respect to those who lost their lives defending the freedom of others. Hymns are sung, prayers are said, and the two-minute silence is observed. Wreaths of poppies are then laid on the steps of the Cenotaph. The monument was originally built of wood and plaster for the first anniversary of the Armistice in 1919. The memorial you see today was designed by Edward Lutyens, it was created from Portland Stone and was unveiled one year later in 1920. The inscription simply reads "The Glorious Dead". 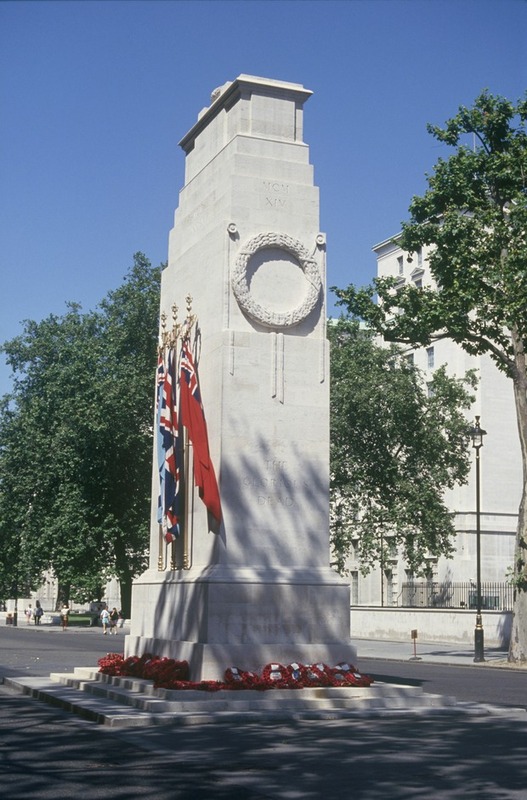 What are the best dining options near Cenotaph London? Cenotaph gyms, sporting activities, health & beauty and fitness. The best pubs near London Cenotaph. Cenotaph clubs, bars, cabaret nights, casinos and interesting nightlife. Where to have your meeting, conference, exhibition, private dining or training course near Cenotaph. From cheap budget hotels to luxury 5 star hotels see our deals for Cenotaph hotels, including Club Quarters Trafalgar Square from 77% off.